Josh and Jessica Hanson are a really awesome couple who have lived at Casa Shalom for the past year and help out at the home wherever needed. They do everything from teaching in the school, to helping organize and manage American team visits, to filling in as house parents, to anything else! They have a really great blog about everything going on at the orphanage. I use it to keep informed with everything going on! 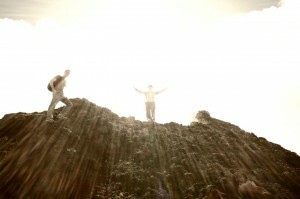 You can check it out at http://thehansonsinguatemala.blogspot.com/. I know that they’re raising support as they go into their second year, and you can find out more about it on their site. I thought that this would be a good place to write a little bit about my girlfriend Yuliza and how I got to know her. She started teaching at Casa Shalom about three and a half years ago, and this is a picture of her with her class that year. Anyways, we got to know each other some that first summer, and then we started talking more over the next few years as I’ve been living in Texas. At first it was mostly just emails back and forth, but it slowly changed into more and more phone calls over time. We then started dating when I went to visit over Thanksgiving. This past spring Yuli was able to stay with some of her family that lives in South Carolina for about six months. This was quite a blessing to us as I was able to visit her much more often and she was able to get to know my country and culture. She also took English classes during her time in the U.S. and learned a lot. She got to meet most of my family in May and did a pretty good job of talking to them. The school system in Guatemala is on a different schedule from us, and it runs from January until October. So Yuli had to withdraw from teaching at Casa Shalom this year in order to stay in the U.S. this spring. When she returned a month ago, it was tricky to find an teaching position that was open in the middle of the school year. But on Tuesday she was given an offer at a school very close to her house when a position opened up to teach sixth grade, so she took it! I thought that this would be a good place to write a little bit about my girlfriend Yuliza and how I got to know her. 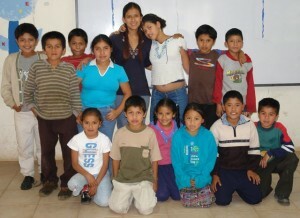 Yuli started teaching at Casa Shalom about three and a half years ago, and this picture is of her class that year. In the summer of 2006 I went down and helped out at the orphanage for about three months, and during that time, one of my jobs was driving a van to pick up the teachers and some kids from the surrounding areas each morning before school and then drop them off at the end of the day. So each day we talked as we went back and forth, and that’s how we first got to know each other. She always says that she didn’t get to know me very well that summer, and I guess that I am a little shy! But I certainly noticed her and saw what a great job she did with the kids. Anyways, we got to know each other some that first summer, and then we started talking more over the next few years as I’ve been living in Texas. At first it was mostly just emails back and forth, but it slowly changed into more and more phone calls over time. We then started dating when I went to visit over Thanksgiving. A long distance relationship wasn’t really part of my plan while living in Texas, but she continued to impress me in many ways. And I didn’t want to let her get away! This past spring Yuli was able to stay with some of her family that lives in South Carolina for about six months. This was quite a blessing to both of us as I was able to visit her much more often, and she was able to get to know my country and culture. She also took English classes during her time in the U.S. and learned a lot. She got to meet most of my family back in May and did a really good job of talking to them. All of this was such a blessing to us as I had no idea how it was going to work out as I started to date her. We have lots of differences, but I feel like God’s been right there with us every step of the way. The school system in Guatemala is on a different schedule from us, and it runs from January until October. So Yuli had to withdraw from teaching at Casa Shalom this year in order to stay in the U.S. this spring. When she returned to live in Guatemala a month ago, it was tricky for her to find a teaching position that was available in the middle of the school year. But on Tuesday she was given an offer to teach sixth grade at a school very close to her house, so she took it! Again, it’s been so great to see God provide every step of the way. Nothing much here… yet! I hope to post all the plans and prayer requests over these next six months of preparation. Let me know what you think!